Central banks have a long and well-documented history of gold price manipulation, which shouldn’t be a surprise to anyone considering their history of manipulation with ALL other financial markets. However, gold is to central banks like Kryptonite is to Superman, they can’t ignore it so they must attempt to control it. They are terrified of it, but in awe of it at the same time. They are terrified, because it serves as a public and accurate inflation barometer, as well as an excellent indicator of the relative strength of fiat currencies. 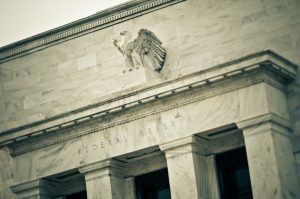 But they are in awe of it, because of its importance as a reserve asset, as well as its value and power within the international monetary system, which is undeniable, universal, and like it or not, “in control.” Nevertheless, for their own sake these are two critical factors that central banks have an overwhelming desire and need to “attempt” to control. In March of 1968, the U.S. Treasury triggered the move to “free market” gold, when they ran out of good delivery gold. Through the Sixties, a consortium of central banks from Western Europe held gold prices at or near $35 per ounce, by coordinating their operation through the Bank of International Settlements and utilizing the Bank of England as transfer agent. Once the price of gold was “released,” in the early Seventies, central bank price suppression and demonetization efforts continued, requiring the occasional dumping of physical gold back into the market in order to squelch rising prices. Consortium meetings were not publicized at the time, but Bank of England archives now contain public records of those meetings. The gold lending market, primarily based in London, was and remains a covert business affair that empowers central banks to manipulate the price of gold. Likewise, many central banks lent out gold long ago and hold nothing more than a “gold receivable” on their balance sheet. The liability can be rolled over and over and central bank gold is never independently audited. Central banks go to great length to make sure that the market does not know the true status of outstanding gold lending and swapped gold positions. Your financial well-being could be at stake. Don’t operate in the dark! Call American Bullion at (800) 653-GOLD (4653) to fortify your gold position, today!